Here the southern side of Mt. Carmel near the coast can be seen. Mt. Carmel was most significant in ancient times as a barrier to traffic along the coastal plain. 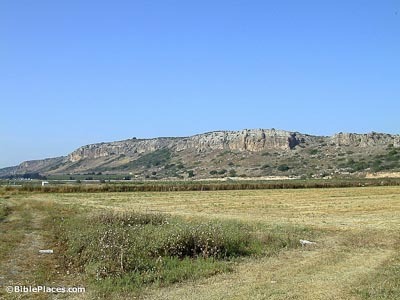 The 1500-foot high limestone mountain impeded armies and merchants traveling to the Jezreel Valley. Biblically, Mt. Carmel is referenced most often as a symbol of beauty and fertility. To be given the “splendor of Carmel” was to be blessed indeed (Isa 35:2). 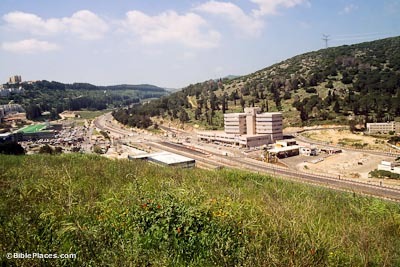 Solomon praised his beloved: “your head crowns you like Mount Carmel” (Song 7:5). 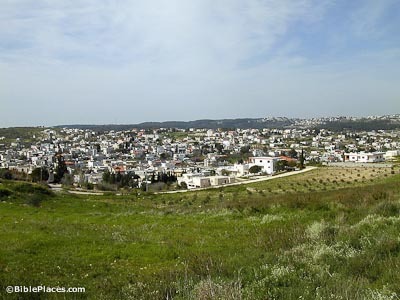 But for Carmel to wither was a sign of devastating judgment (Nahum 1:4). This is probably the best view of the area of Elijah’s contest, assuming tradition is correct. 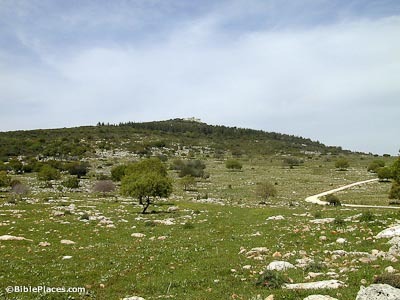 The monastery of Muhraqa is at the top of the hill, but tradition places the contest slightly lower near a spring. 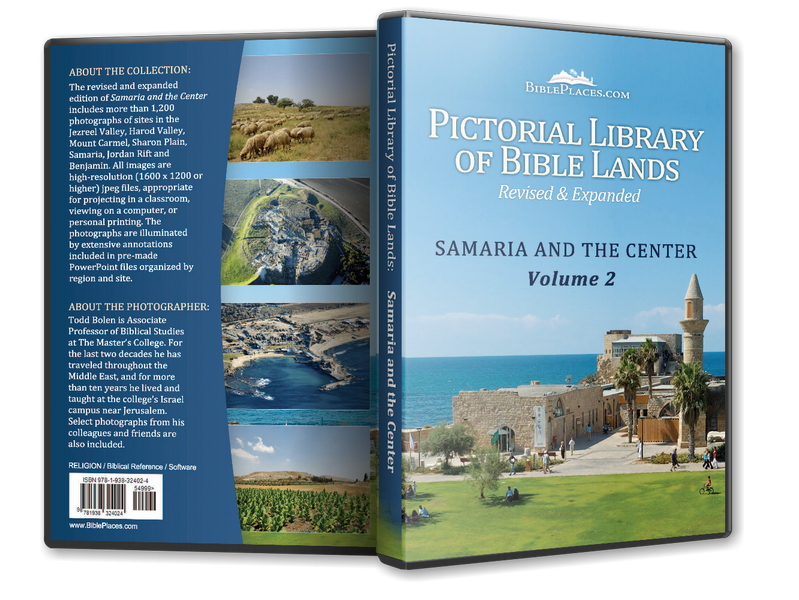 The crowds of Israelites would have filled the spacious territory around to see whose God would win. 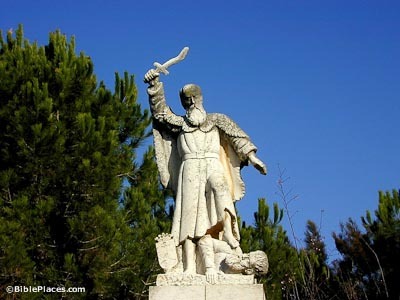 The statue at the Carmelite monastery reflects the Lord’s victory over the prophets of Baal. Shortly after fire came down from heaven and consumed the sacrifice, altar and even the water, Elijah had the prophets of Baal slaughtered at the Brook Kishon – something which should have happened long before! Because Mt. Carmel sits astride the International Highway (sometimes called the Via Maris), three passes through the mountain became significant routes of travel in the ancient world. This photo shows the “Jokneam pass” from the vantage point of Tell Jokneam. Because of the narrowness of the passes, they were relatively easy to guard. 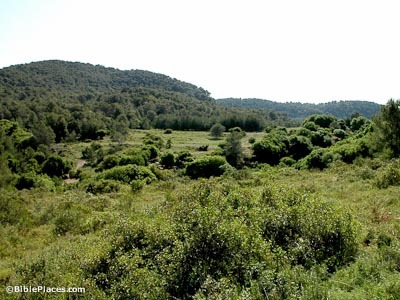 Today two Druze villages are situated on Mount Carmel. The Druze religion is an offshoot of the Islam faith from about AD 1000. The Druze people speak Arabic, live also in the hills of Galilee and the Golan Heights, and have good relations with the Jews of Israel. They are often persecuted by Muslims.